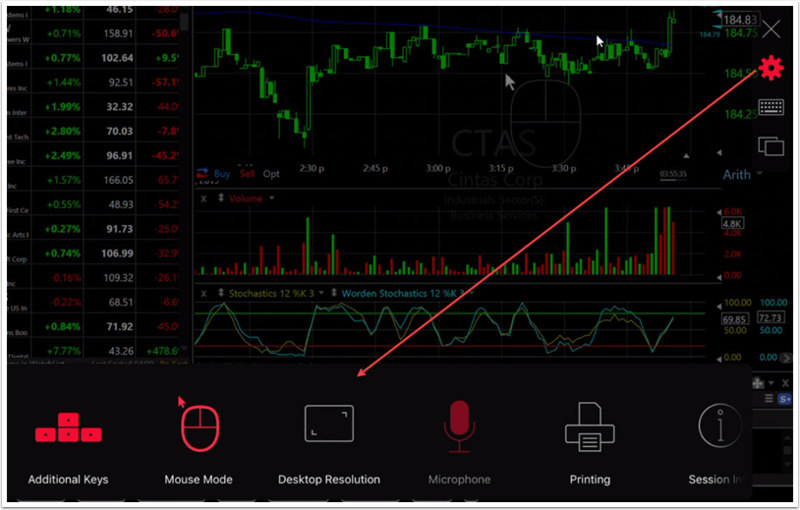 On your mobile device (smart phone/tablet) the Parallels client in which you run TC2000 Anywhere has a small suite of tools to help you navigate the program on the mobile device. Below are instructions for using this menu. 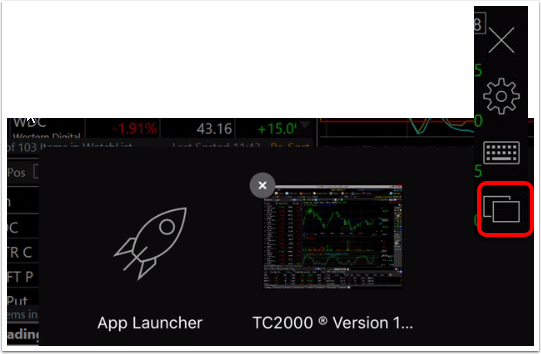 The tools relevant to using TC2000 are discussed below. 2. Click the X to close the program. 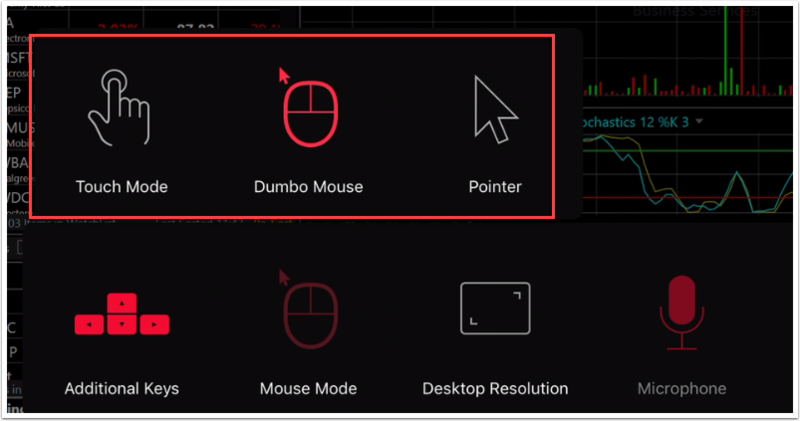 Mouse Mode: a selection of different mouse modes that can be used in the app. Note: click on the desired mouse to set the mode. (Note: finger touch and mouse movement can both be used on mobile devices). 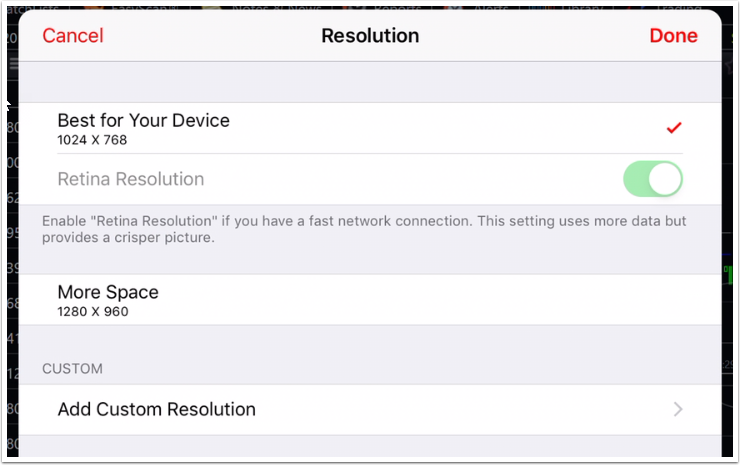 Desktop Resolution: adjust the resolution to get best display on your device. (Auto rotate works on your mobile device for TC2000). 4. 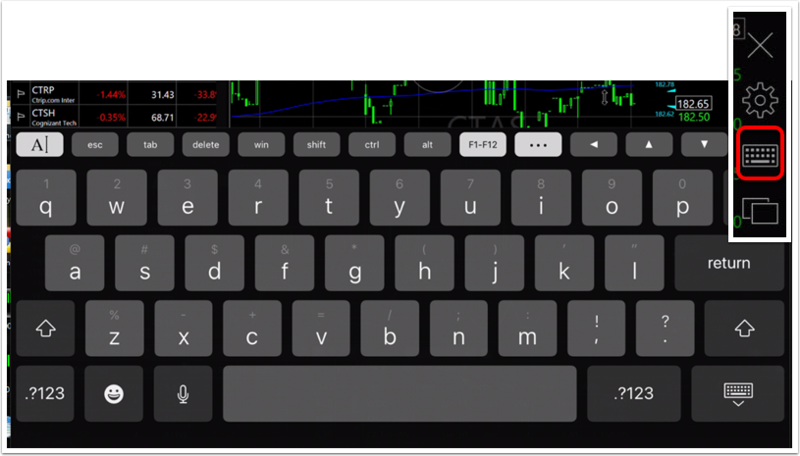 Click the keyboard icon to open a keyboard (so you can type a symbol). 5. 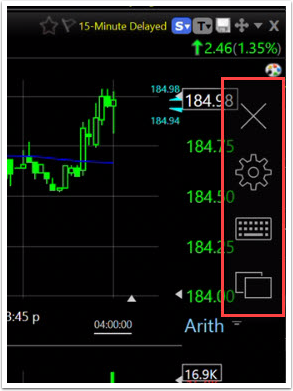 Click the tab icon to switch between applications on your device. Swipe the toolbar (right side of device screen) to hide/show it.